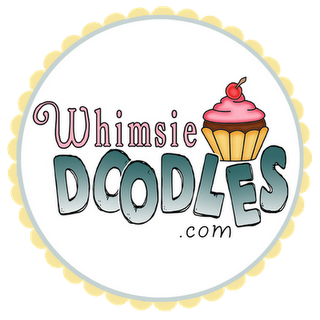 "anything goes" challenge sponsored by non other than Whimsie Doodles! Melyssa from Whimsie Doodles creates incredible images that I really enjoy using on my projects. If you have not had the chance to see her images you need to go over to her site and check them out Here. For the image on my card, I used an image from the school goodies digital stamp set from Whimsie Doodles. This set has several fun images included in it. I used an old sizzix die to make the little piece of red notebook paper. I think it is too cute! LOL! For the design paper I found some hopscotch paper and cork paper which seemed to work perfectly for this back to school card. Head over to Paper Playtime and enter your project!